Definition - What does Nahushasana C mean? 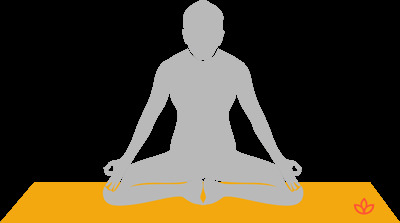 Nahushasana C is one of three variations of a seated asana that has an advanced leg position requiring flexibility in the ankles, hips and legs. From a seated position with the soles of the feet touching and the knees dropped off to either side, the yogi pulls the feet toward and underneath the body while twisting them back until the toes point behind the body. The hands are placed on the knees in jnana mudra. The drishti is toward the ajna chakra. In English, this pose is known as the pose dedicated to Sage Nahusha C.
Nahushasana A – the back arches as the hands reach behind and touch the ground, while the top of the head drops backward toward the ground. Nahushasana B – the back remains perpendicular to the ground, while the hands take reverse prayer position. All three variations of the pose are included in the fourth series vinyasa of Ashtanga yoga. Nahusha, for whom the pose is named, was a well-liked sage who was elevated to king of the gods when Indra went into exile because of a curse.